We are so excited to introduce new products to our line as the business continues to grow. This year we have taken a deep dive into fine jewelry, as the demand for our engagement ring collection continues to flourish (Yay!). We have found that gold and precious gemstones have become more than just materials for us but little treasures that we arrange and rearrange to create poetic delights. With this thought in mind, we have decided to continue in the direction of exclusively fine. As we keep the momentum going in our designs, we went searching for new inspiration to Iceland; the land of ice and fire. We saw water in so many forms and land that was rich with supernatural wonder and folklore. One of our adventures took us behind a waterfall, where we found moss infused with droplets of water, accumulated from the mist hovering in the air. Needless to say, we were mesmerized by these tiny diamond drop like wonders. The design that was born from that experience was instantaneous; diamond mist drops. Side story - When Anastassia was 9, her mom had a crystal jewelry box. When her parents were away, Anastassia would rummage through it for hours, indulging in it's adornments . 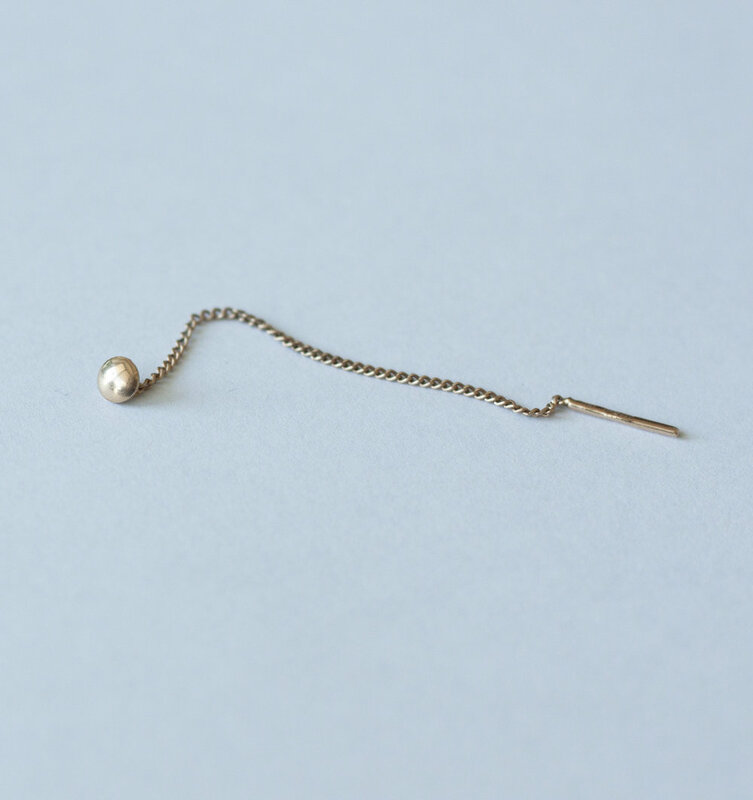 One of her favourite pieces was a single golden threader that she was dying to wear when she (finally) got her ears pierced. Always majestic, no matter the number of times she looked at it. Fast forward 20 years, this tiny heirloom now sits in Anastassia's jewelry box. In light of Mother's Day, we created a rendition of Anastassia's heirloom piece, dedicated to her mom. May the new one bring as much happiness to someone as it did her.